Amid dying music sales, vinyl records have been making a surprising comeback in recent years. Music is an important part of my life; I need it, as do plenty of other people. We relate to music. Music helps us feel that we're not alone when something goes wrong, such as a relationship going sour or the passing of a loved one. We have music for when we're partying, music for when we're trying to study, and music for when we want to have a cup of coffee and relax. Music is a necessity for many people. We need music to get through the day, and it appears that the way we listen to music is changing ever so slightly: vinyl is making a comeback. For a long time, vinyl records were the only medium for listening to music at home. CDs were introduced in the 1980s and it appeared that vinyl was going to fade into the dark; an obsolete technology, an antique. Then the iTunes store was launched in 2003, and it appeared that digital music would become the go to medium for music consumption. Digital music made it possible to buy any song and listen to it instantly without leaving your desk, and the iPod and other mp3 players made it possible to carry unheard of amounts of music with you everywhere, eliminating the need for anything physical at all. Now, in 2015, streaming services like Spotify and Pandora have become incredibly popular, up by over 50%, according to Ben Sisario and Karl Russel in a piece for The New York Times, and on the consumer side, that's great. On the artist side, not so much. Artists don't make much off of Spotify streaming unless their music is streamed a lot, and according to Lizzie Plaugic in a piece for the Verge, that's often the fault of record companies, not so much Spotify... But that's another topic. While these new services are the main way most people listen to music nowadays, a different branch of music consumption is making a surprising comeback, and that branch is vinyl. CD sales have begun to decline, and while vinyl sales still make up a minuscule part of the market, they are beginning to increase rapidly, by as much as 50% in 2014, according to a piece on Forbes by Hugh McIntyre, and this rise is continuing in 2015. It seems strange, considering CDs and digital music basically demolished this seemingly "inconvenient" and "antique" form of music consumption. However, there are plenty of logical reasons vinyl has become more popular in recent years. One of these reasons is sound quality. Vinyl is known for its characteristic "warm and fuzzy" sound, and this is prevalent because of the imperfections of analogue sound production. It's simply part of the technology, and this is one of the main reasons many people believed that CDs would, in other words, put vinyl out of its misery. CDs produce a "perfect" digital sound, because CDs have a much larger frequency range, stretching much higher and lower than the frequency range of vinyl. This can be seen as a positive or a negative, however, because many people seem to prefer the imperfect, fuzzy sound of a vinyl record. Another reason vinyl may be making a comeback is the sheer physicality of the medium. Ask anyone who collects records: there is something about the process of purchasing, listening to, and collecting vinyl records. The large, beautiful artwork on the cardboard sleeves is reason enough for a purchase. Records also often come with large lyrics sheets and occasionally posters. Then there is the almost ritualistic method of listening to vinyl; gently taking it out of the sleeve, placing it on the turntable, lifting the needle to just the right spot and gently letting it down, and finally, listening. With CDs, it's easy to skip a song and shuffle through them, but with a record, this isn't the case. Since it isn't as easy as the push of a button to change tracks on a record player, you're forced to listen to the album all the way through each side, which is often how the artist intends their music to be heard. Oh, and the flipping of the record after each side is finished... Just another enjoyable part of the process. There are two record stores in New Hartford; Reimagine Records and Music n More. There is also one in Utica; Off Center Records. All three of these stores have great collections of records and CDs to look through, and the owners of all three of the shops are great, interesting people with their own tastes and style, which they are more than happy to discuss with you and even recommend where to start your record collection. There are also plenty of other great ways to start your collection. You can often buy records straight from the online stores for your favorite band or from their record labels. 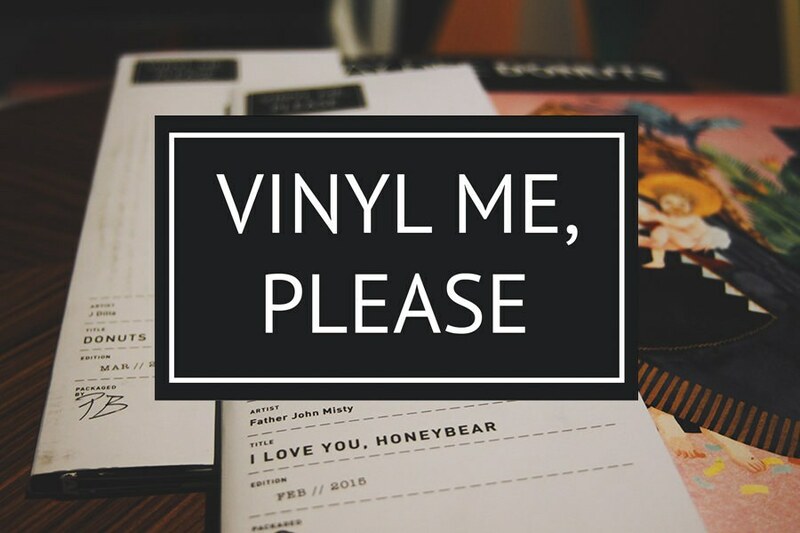 You could join monthly record clubs such as VinylMePlease. VinylMePlease picks one record each month they feel should be an essential part of everyone's collection, and they press special, exclusive, limited edition versions of the album they choose, and they include cocktail recipes that they feel match the mood of each individual record. has a vinyl copy of their record for sale, and vinyl isn't just for mainstream hating hipsters. Besides, theres nothing wrong with liking something that seems a little unconventional. 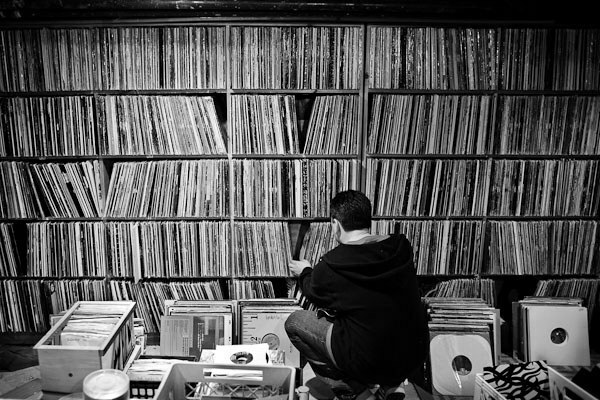 Vinyl may become an important part of the way you listen to and collect music.